They say dogs are man’s best friend (though some of us prefer cats). Other people firmly believe that diamonds are a girl’s best friend—or perhaps chocolate. 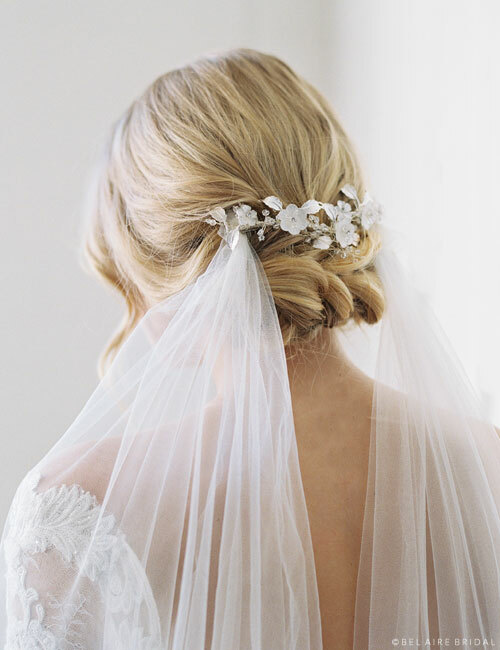 On your wedding day, however, your veil is your best friend! This time-honored accessory is always a good choice for your bridal outfit—and here’s why. The secret to choosing the perfect veil is in selecting one that complements your gown silhouette. 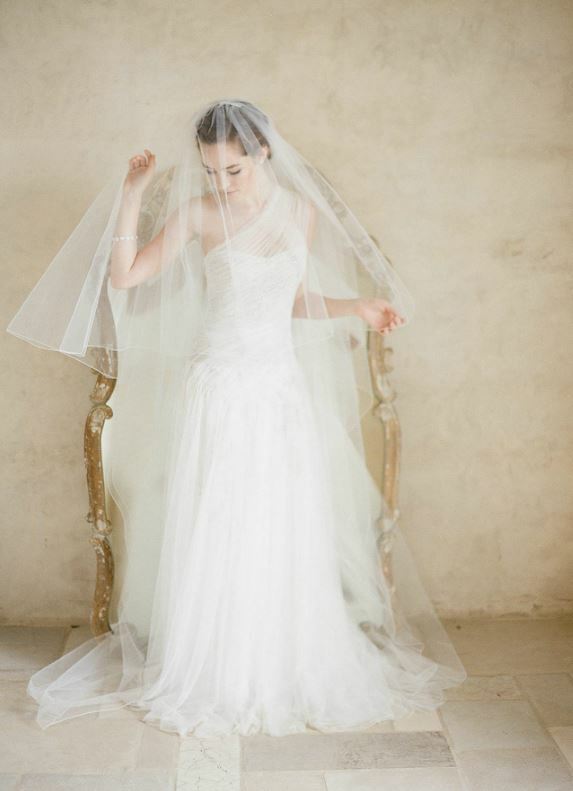 Your veil has a figure-flattering effect that can lengthen your torso or balance the fullness of your dress. The veil you choose can also frame your face. A narrow veil with lots of gathers will help elongate a short face, while a flat mantilla or wider veil with layers will shorten a long face. If you’re a princess bride, a cathedral veil completes your ensemble like nothing else. If you’re a romantic bride, lace is the way to go. 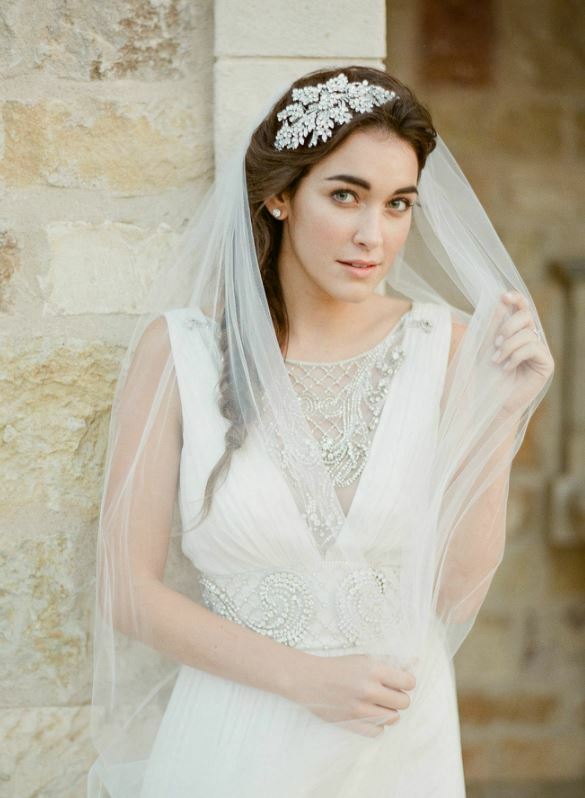 If you’re a vintage-inspired bride, French net adds authentic style. Your veil is the ultimate accessory when it comes to creating a themed look! Go on Pinterest and you’ll see what we mean! Veils are a gorgeous addition to your wedding-day photos, whether they’re wrapped around you in a romantic cocoon, or blowing freely in the breeze. Ever see a woman wearing a veil on her birthday? Neither have we. 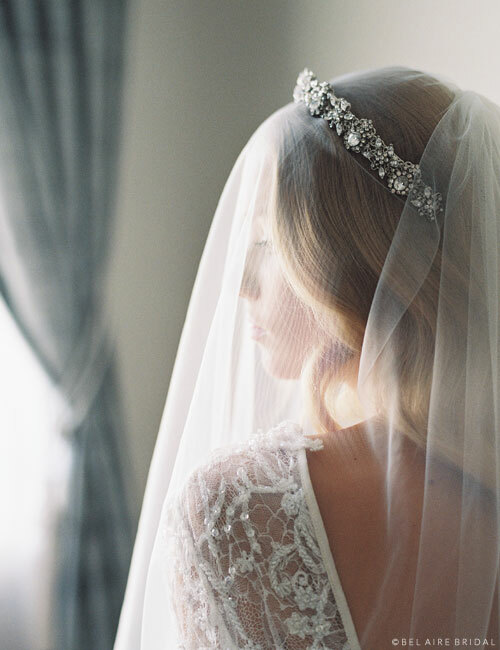 Your wedding is the only time you’ll wear a stunning veil—so give it a go! Even strangers will know you’re a bride and shower you with love on your big day. Modern veils are available in a variety of trims and lengths. You have the opportunity to personalize your ensemble by choosing one you love—whether it has scattered lace or shimmering rhinestones, four layers or just one. That moment when a bride walks down the aisle in her wedding veil is irreplaceable. Everyone from your mother and father to your groom and best friend will get teary-eyed. 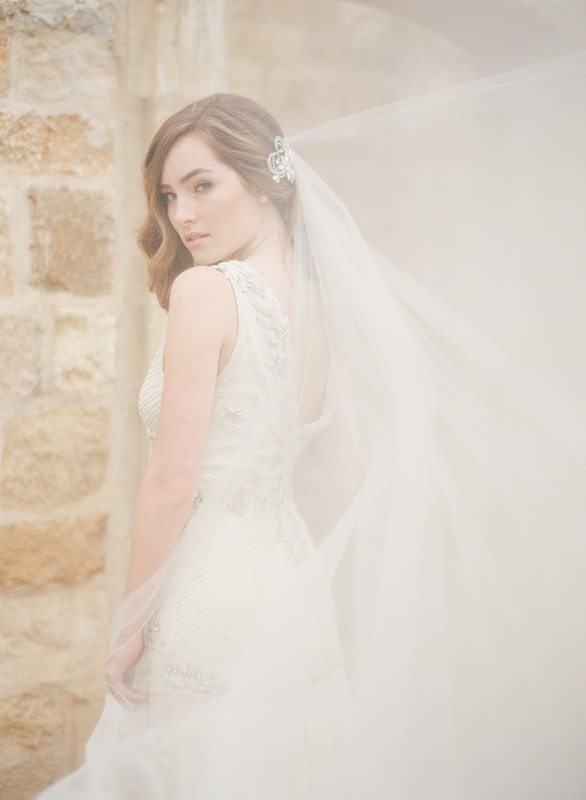 A veil adds utterly magical bridal beauty. 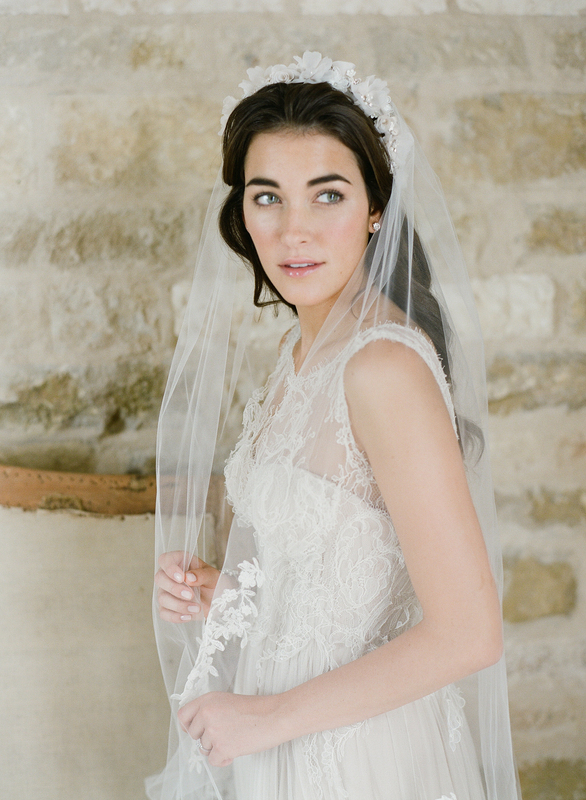 Ready to find the perfect veil for your big day? Browse our collections at www.belairebridal.com and try on your favorites at an authorized bridal salon near you!